The show was hosted by veteran social commentator and retired civil servant Mr Doug Wheatley, and was first aired on CBN 90.9 FM Radio at 8:00 P.M. on Wednesday January 3, 2018. 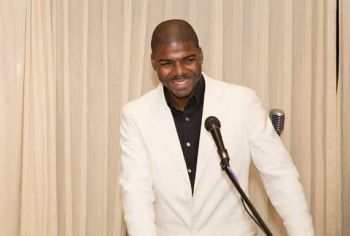 The duo was at the time talking about the importance of having such forums where residents are given a chance to voice opinions and concerns about what is taking place in the community. It is not one of nature's little secrets that the ruling National Democratic Party (NDP) Government often leaves the people who elected them out of the decision-making process. In fact, some persons even ventured as far as calling it a dictatorship instead of a democracy. Politicians and residents alike have been calling for more community involvement in the development of policies. Govwernment said in the proposed recovery and development plan that roughly $721M will be needed to restore the territory over the next five years. It is this very reason, he explained, that the media, be it radio, television, printed press, social media or news, have an important part to play in allowing the voice of the people to be heard. “One thing I would like to propose differently from the very onset, from the very jump, is we have to get the democratic process right. We have to involve persons. The government opposition, they have a role to play, so we have to support them in their role to play. The media has a role, an educated public has a role to play. All the different institutions of government that ensures checks and balances and accountability, they have a role to play. It is evident that Mr [Doug] Wheatley too agrees that community consultations are necessary if the Recovery plan is to benefit the people. He added, “You cannot proceed, as the government is trying, to create a restoration policy and not involve your people. The people have to be involved in it. Meanwhile, BVI Have Your Say did not offer a call in segment during its first airing but the host Mr Wheatley promised its availability during the next show. BVI Have Your Say, you say. That didn’t happen last night. It was a one way conversation; listeners were not engaged, for they had no means of engaging in the conversation. The NDP was heavily criticized for not involving residents in recovery plan development. 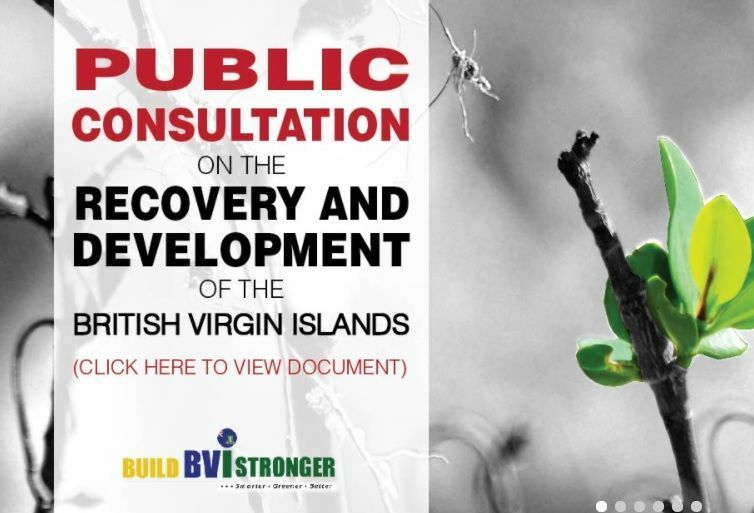 Nonetheless, BVI Have Your Say didn’t give eager listeners the opportunity to actively participate in the discussion, Yes, it was the maiden show but an opportunity was missed. First impression is important. Ok. You promised to engage listeners on next show. We will see. In regards to the $721M recovery plan, government has drafted a plan (good or bad) and did the unusual by putting it out for review. Normally, projects are “Done Deal.” Time will tell if this procedure was just a sham. From jump street, the airport extension needs to be remove from this plan. A want that is devouring 95% of the Business and Economy line item on recovery plan is a non starter. Critical needs need to be addressed first. The airport extension is not affordable and can be deferred to the long term. What is the rush to fund this project that the territory cannot afford? Something is rotten in the state of Denmark. This "government" can't even tell us how much has been spent and what it's been spent on. Now, they want us to trust them with this plan for OUR future--which, includes funding their pet project, airport expansion. Ask the people what WE need. Please, get a roof over everyone's head. Get 100% power and water restored. Make the roads drivable. Help us afford recovery. Is that asking too much?